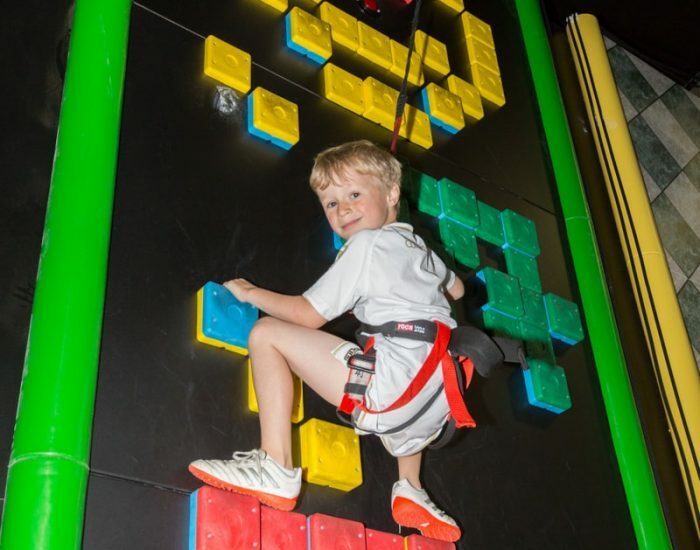 Experience our 25 unique Clip ‘n Climb walls and our stairway to heaven climbing challenge that provide varying degrees of exciting challenges, to suit every age and ability from 4 to 94! 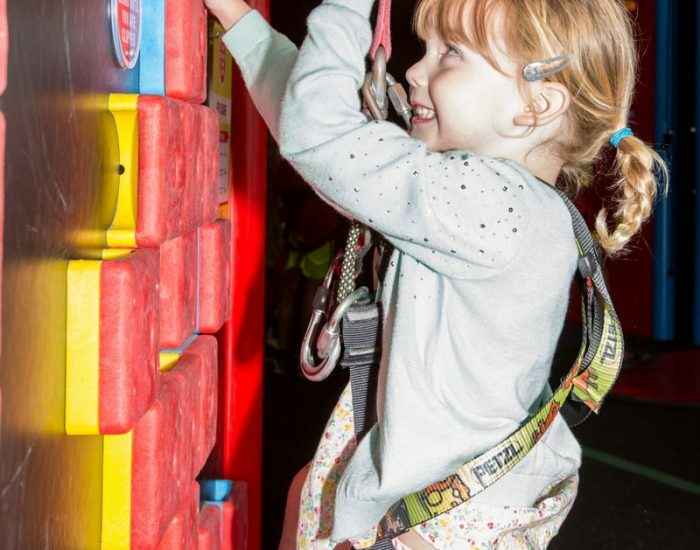 Be prepared to enjoy copious amounts of fun whilst pushing and testing your agility, confidence, climbing and problem solving skills. 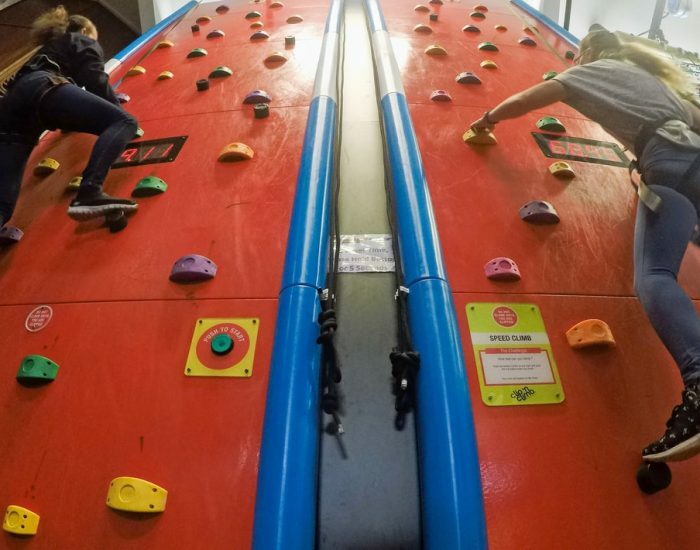 There are so many choices of climbing walls to conquer and each wall creates a different challenge – whether it be testing your speed, deciding on the quickest or hardest route to navigate or how to grip the hold and where to distribute your body weight. The choices and challenges are yours to take! 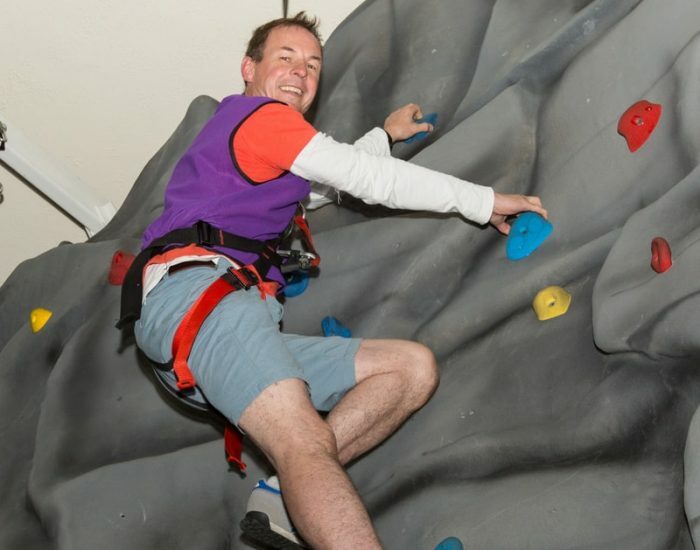 Click here to see all our 28 climbing challenges! 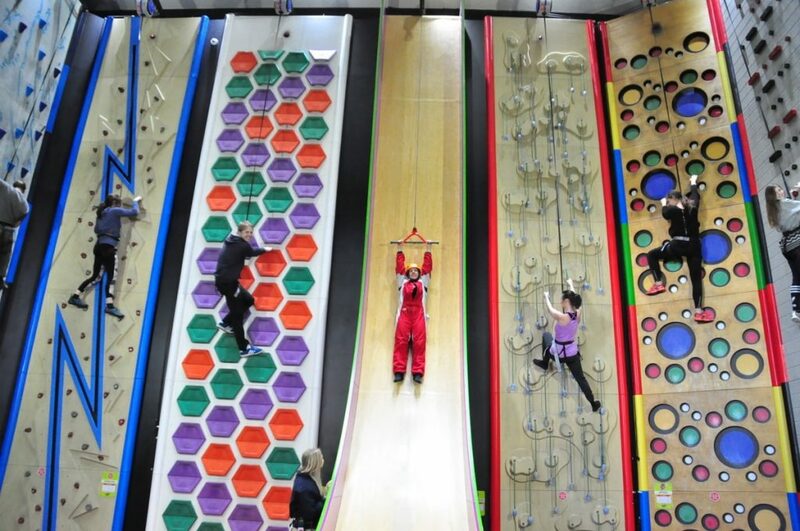 If you’re feeling competitive why not race your friends on the ‘Speed Climb’? Two identical walls, a clock and just your climbing skills between you! 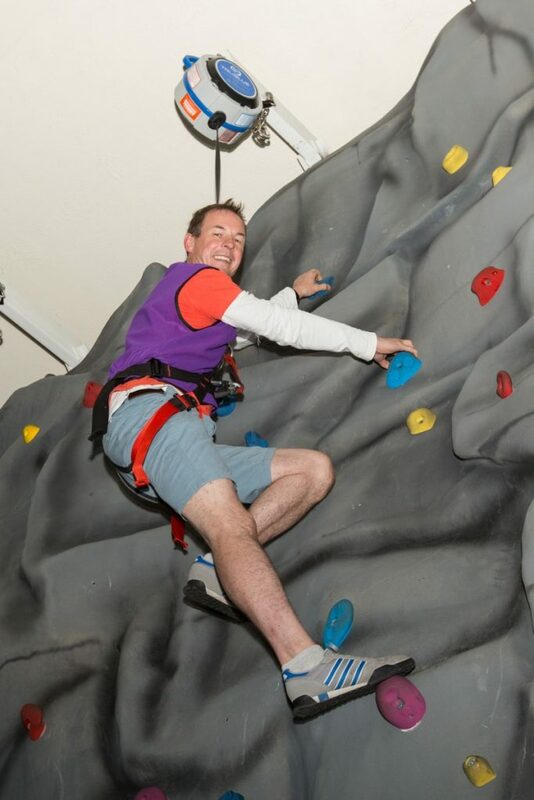 Will you make our fastest ‘climber of the day’ leader board? Can you defeat the ‘Triffid’ wall which has the reputation as one of the most difficult walls in RockReef, with just finger grips and no hand grips. Or try the ‘Dry Ice’ with ice picks to secure you on your climb. 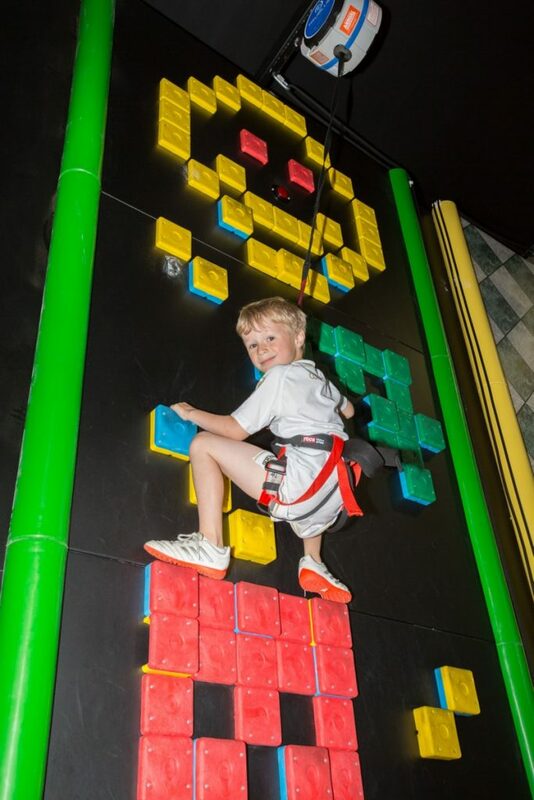 Climb commando style on the ‘Jungle Vines’ or dare to tackle the ‘Lightning Crack’! 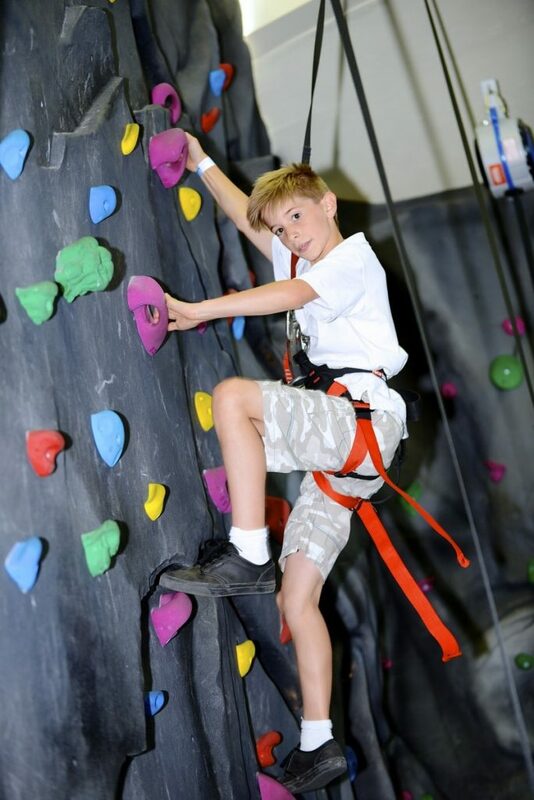 There are so many choices of climbing challenges to conquer! 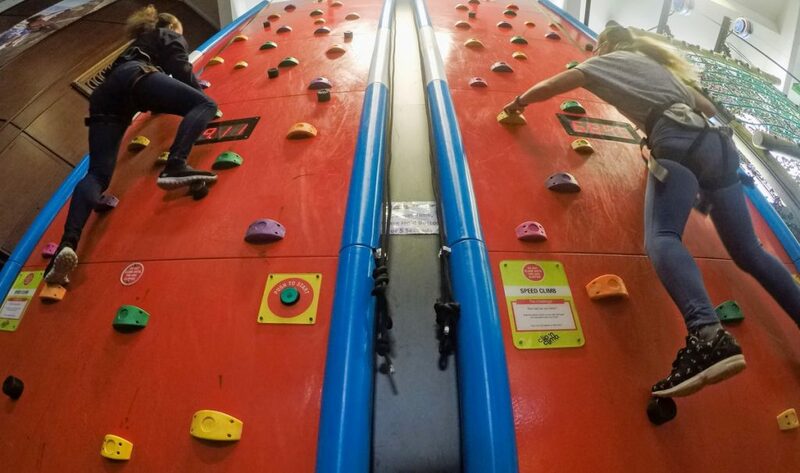 No climbing experience is necessary and full training is given with an induction of up to 30 minutes as part of your fun packed 90 minute session. 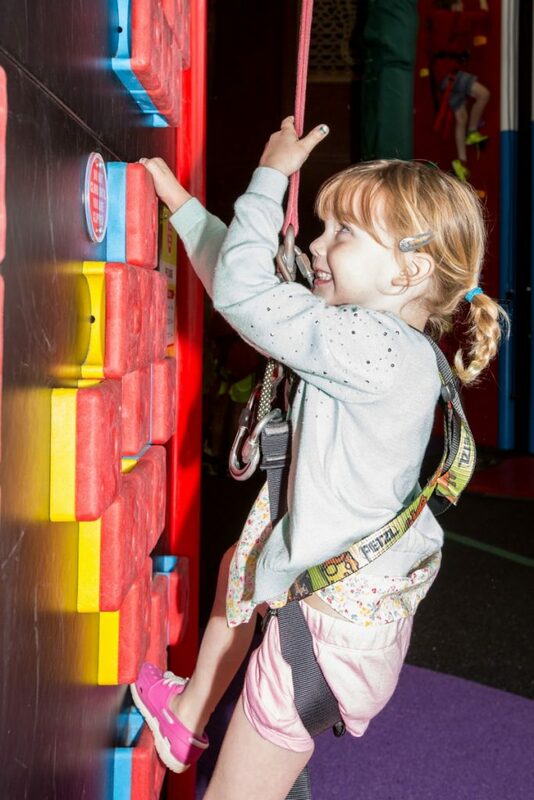 The minimum age for Clip ‘n Climb is 4 years. One adult is required to accompany up to a maximum of three children under 16 and will be required to attend a safety briefing with them. If the adult is not climbing, they will still need to attend the safety briefing to become a ‘Clipper’. They are then responsible for ensuring their group are safely clipped in at all times. The adult ‘Clipper’ does NOT have to pay for entry. 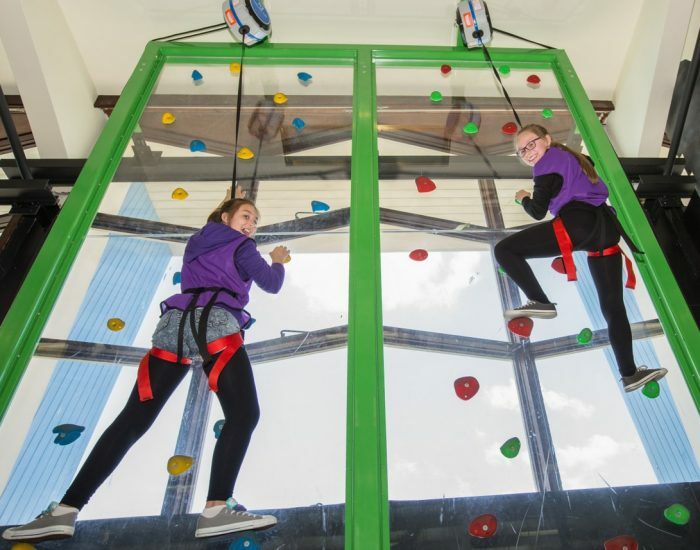 HOW TO BOOK YOUR ROCKREEF EXPERIENCE! 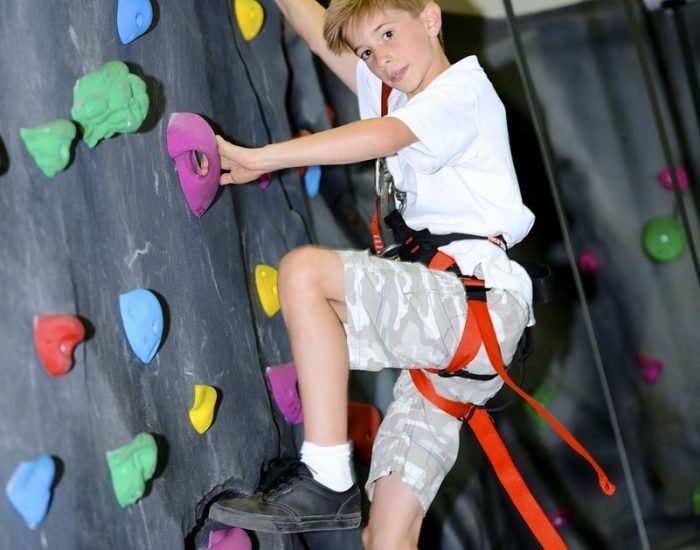 This gives you access to all of our 28 climbing challenges. Choose to add the HighLine or Cave to your Clip ‘n Climb package for just an extra £6. 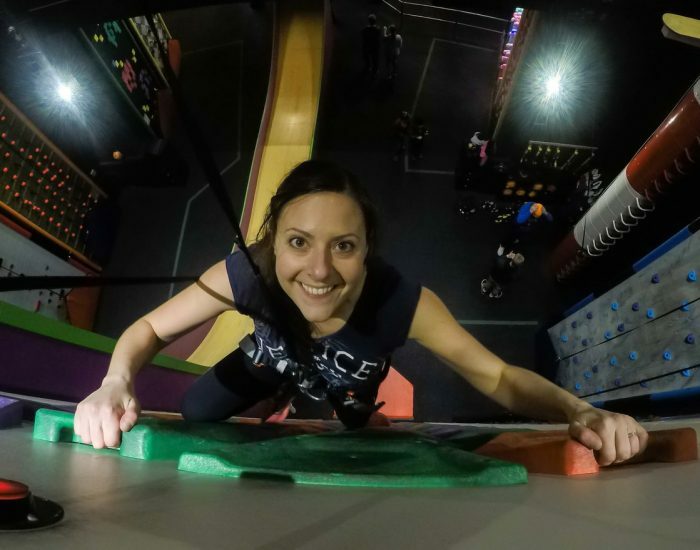 The HighLine is an aerial obstacle course suspended 20ft above the ground! The Pier Cave is a 65 linear metre cave with three different routes. Add a Vertical Slide and/or a Leap of Faith for an additional £3 each. 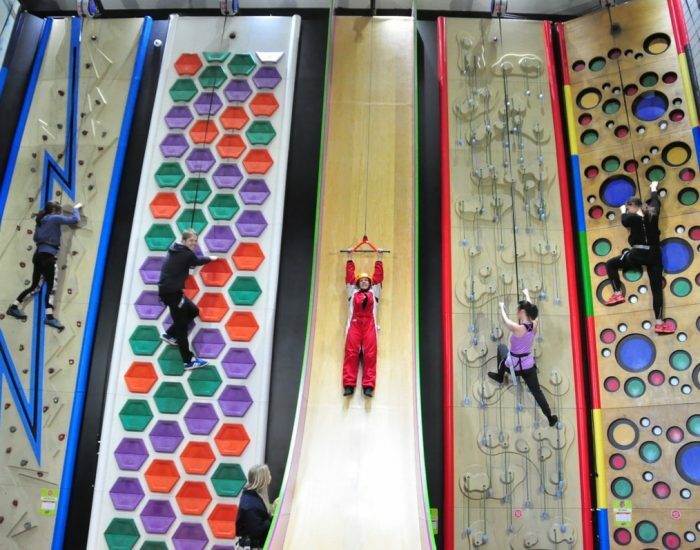 The Vertical Slide is guaranteed to give you a real adrenaline rush! 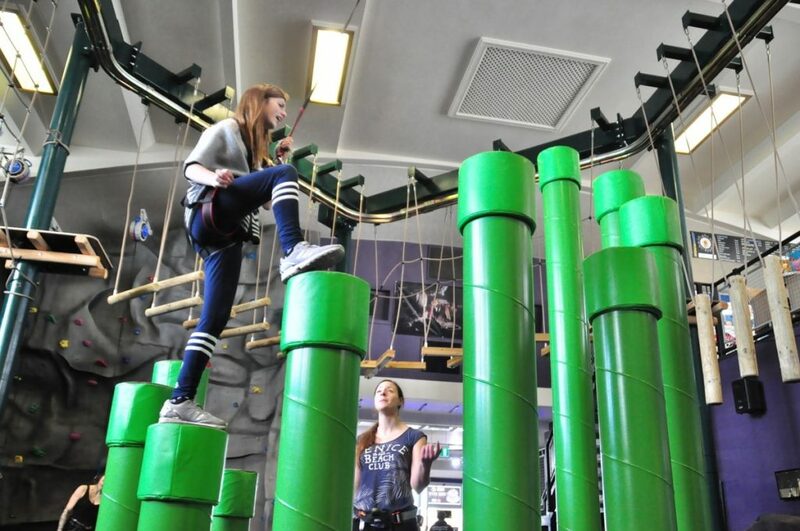 Or face your fears on our most challenging activity, the Leap of Faith! After all that climbing, you will be hungry! 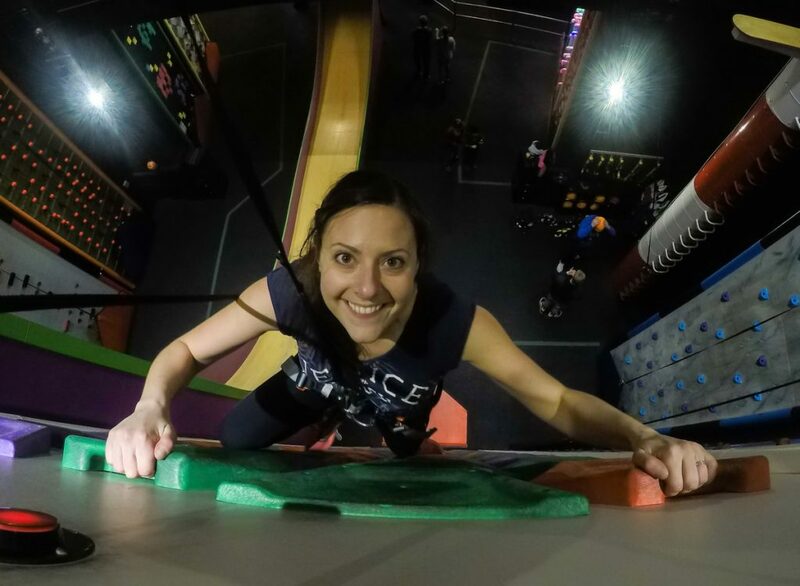 Book a Climb and Dine and you will receive a 12” Pizza for just £5 in the RockReef café after your session. 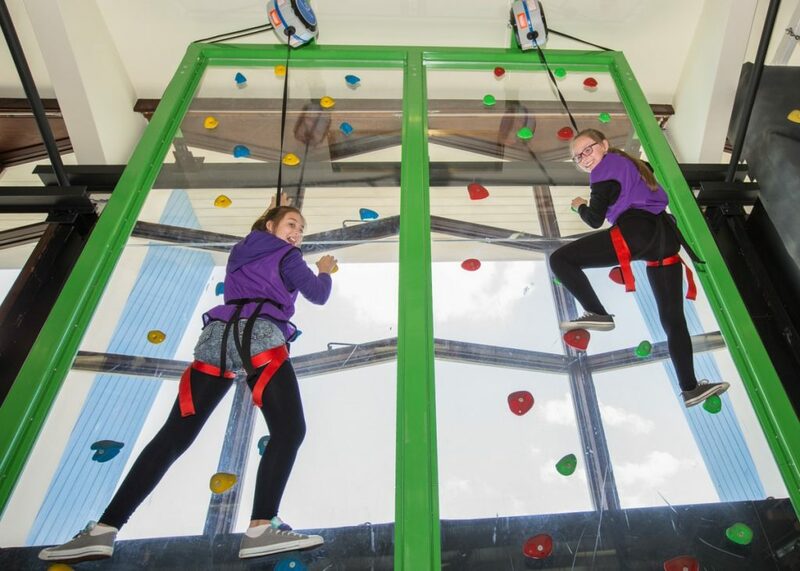 PLEASE NOTE: Tables cannot be reserved for Climb ‘n Dine and customers are requested not to bring their own food into the cafe. Please ensure you arrive at least 15 minutes before the start time of your session. No refunds can be given for late arrivals, you will be allocated a space on the next available session.